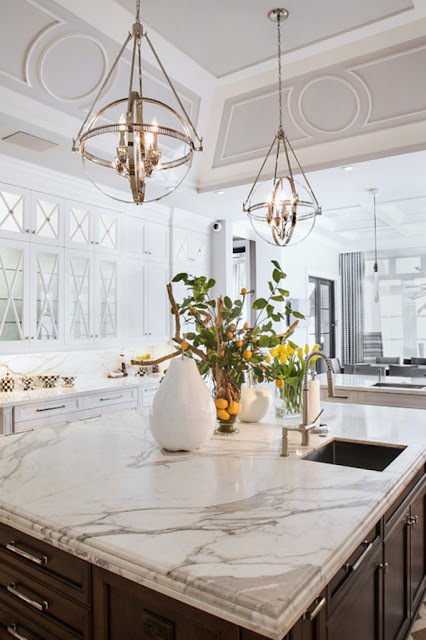 Our beautiful Helena hanging pendant provides task lighting over a marble island. In a smaller space, it may be utilized for overall illumination. Helena is a simple geometric shape of circles that form a sphere. The crafted metalwork and elegant suspension rods are finished in polished nickel.